In this issue: We are enlightened by the man who wants us to be happier at work, who companies big and small can benefit from an open-source approach. We look at how Raspberry Pi took over the world, an insight into corporate innovations at Airbus and inspiring new career paths in Nuclear Energy. 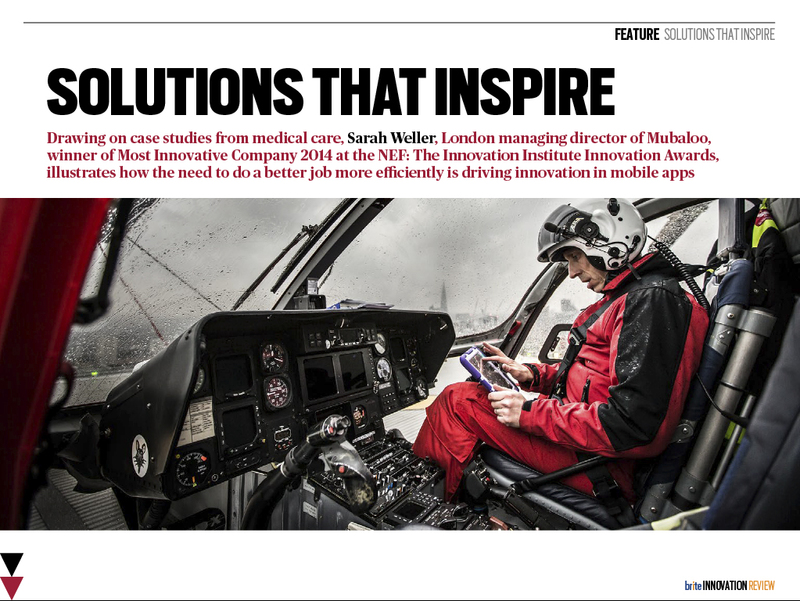 Lastly we explore how healthcare needs are driving innovation in mobile apps and much more. brite Innovation Review is a quarterly digital publication produced by NRi Digital in association with NEF: The Innovation Institute. This magazine highlights the innovations, ideas and people who are transforming industry, education and government policy. It provides a digital platform to promote science, technology and business innovation, exchanging ideas and knowledge, and encouraging the advancement of innovative practice across different sectors. Each issue is distributed internationally to NRi Digital’s audience of over 100,000 industry decision makers and influencers, and is also distributed to NEF: The Innovation Institute’s membership across government, industry and education. Available on the web and for the iPad through the App Store, brite Innovation Review keeps up to date with an ever-changing technological landscape and offers readers inspiration and ideas to drive innovation and development in their own organisations.